La Hue Living combines Interior Design and the beautiful art and craftsmanship of custom upholstery, window treatments, banquettes, soft goods, bedding, cushions, pillows and more. 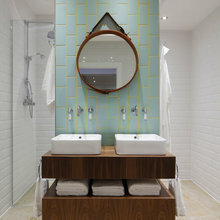 We create innovative design concepts that will completely transform any interior residential or commercial space. When my husband decided he wanted to have his boat cushions reupholstered i thought this was a simple quick task and terribly boring. They were a white chewed up vinyl and assumed they would become a white not chewed up vinyl. What Claudia and her team did was anything but boring! She used high quality vinyl to transform the boat cushions into a beautiful blue gray. My husband and I couldn't be more pleased! She will be helping us to update some more of the boat upholstery soon! Claudia and her team were a delight to work with. I used La Hue Living to reupholster my family room sectional and the results were spectacular. Claudia’s knowledge of colors, fabric and design are truly exceptional. She not only reupholstered the couch but also helped me pick up a rug as well as pillows to complement it and I could be happier. 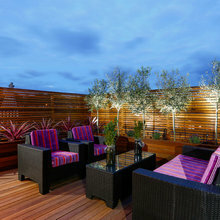 I would highly recommend La Hue Living. Service is wonderful! The service was friendly and extremely knowledgable. I would highly recommend if you need good design advice, quality craftsmanship and a quick turn around time! Claudia and her team reupholstered and refinished two benches, two tables and a chair /ottoman for me. She had a great eye for picking fabrics that complemented the rest of the room, including incorporating one of my left over fabrics into the trim. Service was quick and she kept me informed as things progressed. The prices are higher than a basic reupholsterer but you are paying more for the design advice and high quality attention to detail. 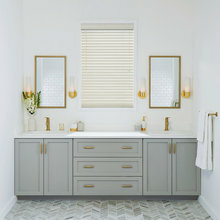 We love working with La Hue Living! Thank you for choosing Greenhouse Fabrics and always sharing your wonderful work with us! Beautiful headboard slipcover! I hired La Hue Living to create a slipcover for my son's queen size bed. An existing window treatment mechanism needed repair/replacement also. Claudia promptly returned my call & set up an appointment. She explained her fees over the phone in advance, which I appreciate and respect. She had amazing follow up and quickly delivered the finished slipcover. She also informed me that the mechanism needed to be replaced and why. Claudia is warm yet professional. The quality of workmanship for the slipcover is excellent. I'm hiring La Hue again to make a bed skirt and 3 window treatments. I'm very happy to support a female-owned local business that sets a high standard. Claudia and her crew at La Hue Living were absolutely wonderful to work with! We were intrigued by the stylish orange awnings at her shop and stopped in and are so happy we did! She helped me design a cornice for our extra large living room window and recommended a range of fabrics I would never have thought of that went perfectly with our sofa. Once we'd decided on the fabric, she picked out the piping, and then her professional crew made and installed it perfectly - all in under two weeks and at a fantastic price! It is just stunning!! Claudia is cheerful and creative, and quickly understood the look I wanted. I would recommend La Hue without question and will be using her for all of our future design needs!! 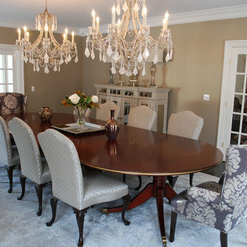 La Hue restored my leather dining room chairs, a job others had said could not be done. The workmanship is excellent. Claudia did some other small jobs. I expect to contact her for color advice when I repaint. I came across La Hue by chance and found the service very professional and speedy. The next day i chose materials and have just picked up twp large window seat cushions. Very pleased with how they have turned out and within the 1-2 week time frame quoted. I'm a Captain of a small yacht that was having some work done at the shipyard next to La Hue Living LLC. Rather than having my guy come from Long Island to do modifications to the mattress in the master state room, canvas work and having some cushions made, I decided to give them a try while the vessel was laid up in Mamaroneck. I received a quote which was very reasonable. 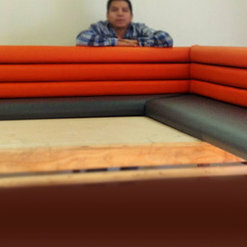 I presented the quote to the owner and received approval for the work. They've completed the work as promised in a timely manner, paid attention to detail. Quality craftsmanship, 1st class work fitting for yachts of the finest caliber. Excellent communication skills, who can think outside the box with great suggestions and solutions. 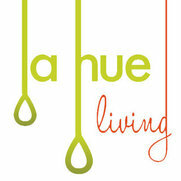 All of my future custom work will be with La Hue Living. PS I had them make me a cover for my joystick also. Claudia at La Hue helped me with two upholstery projects, a chair and a love seat. They both came out just beautifully. The love seat needed structural repairs in addition to the reupholstery and they handled that with ease. The jobs were done very quickly and returned to me promptly. I recommend this business highly, not only was the work exceptional, they could not have been more professional or courteous.